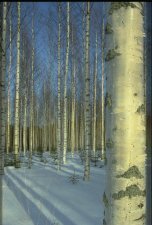 By now COST E42 has 25 signatories (date: 19.06.06), which shows the importance of valuable broadleaved trees for Ecology, Forestry, Landscape and social issues all over Europe from Finland in the North to Greece in the South. You are a researcher from a non-signatory state willing to contribute? Please click here to find information how to join E42.